I haven’t blogged about Hello Kitty in a while but this batch of Sanrio imports was definitely something worth sharing: the Tokidoki x Hello Kitty Reunion Collection designed by Simone Legno. These items have limited availability locally and will not be restocked readily so if you want them, do get them before they run out! The bags are made of durable woven nylon with lining and faux leather trim. 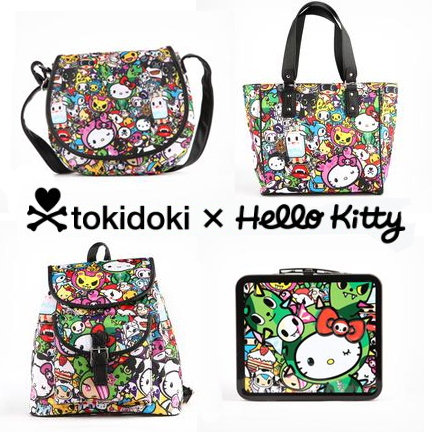 Unlike their more expensive Tokidoki x HK collaboration counterparts which were made with genuine leather, these bags are meant for everyday use. Hardy, yet light on the pocket (and we all know collaborations usually cost a bit more than your usual Sanrio merchandise), these bags are perfect for Kittyholics of all ages. The crossbody bag retails for PhP2229.75 while the the shoulder tote goes for PhP3699.75. The handbag retails for PhP3349.75 (see picture on right, sorry for the lack of clarity). Those who hanker for the good ol’ days of metal lunchboxes (think ’70s, teehee) may very well enjoy a bit of nostalgia with the embossed tin case for P1099.75. And if you’re thinking of hauling more than just the usual kikay kit, then a backpack may just be the one for you, going at PhP3299.75. 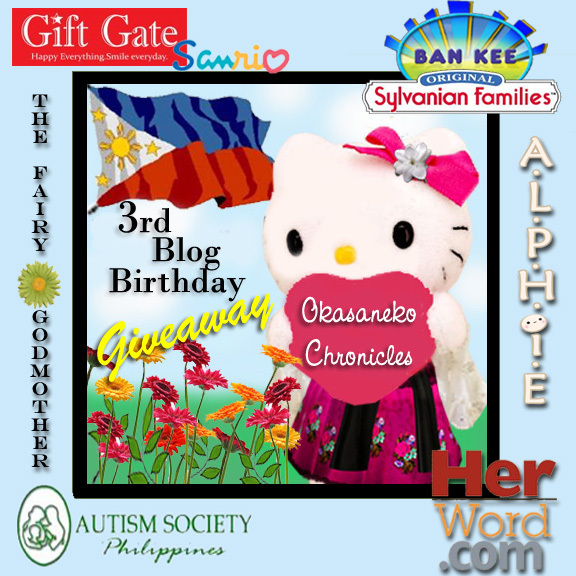 This collection is available at Gift Gate’s Sanrio Surprises at the 3rd Floor of SM Megamall Building A. Again, these items have limited availability so once they’re out, you might not see them again. Race you to Megamall then! 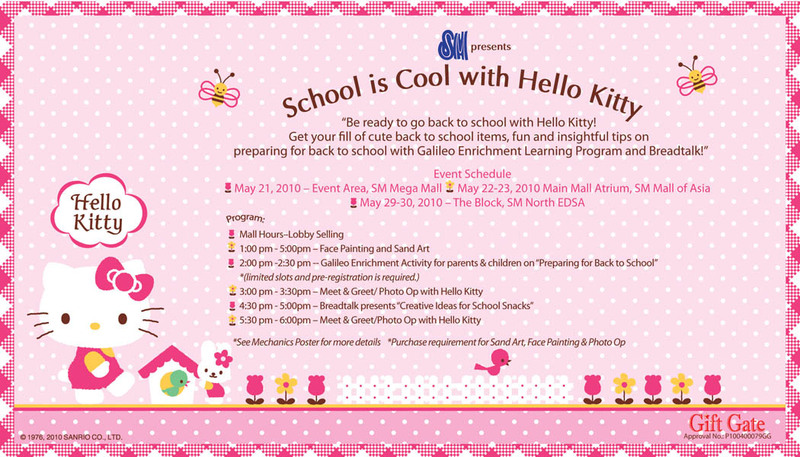 My friends at Gift Gate told me about this series of events last week, a few days before the start of the actual Megamall event, but I only got this flyer by email yesterday. I won’t be able to come to any of these dates (I missed last weekend already, drat!) but if anyone else is interested, maybe this’ll help. 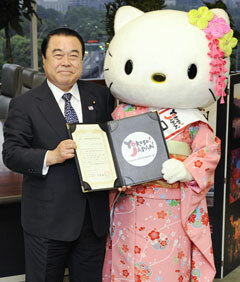 There’s still one weekend left to get yourself and your kids your fill of Hello Kitty. 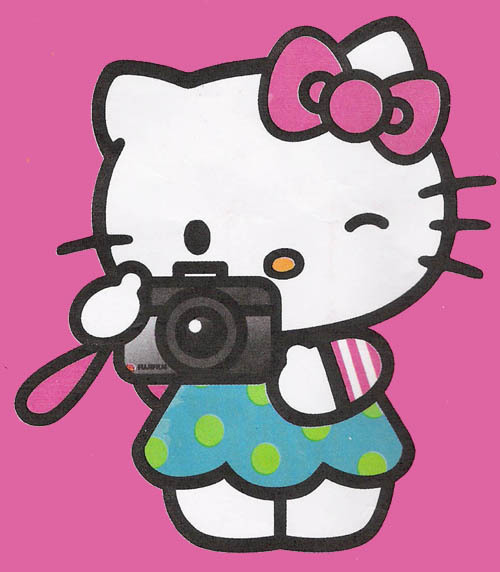 And if a picture with Hello Kitty is what you want, then come on down and get your finest poses taken! I’m not sure if the resized flyer is still readable so let me just jot down the activities for all of you. Just a reminder to all those who’d love to come, purchase is required for Face Painting, Sand Art, and Photo Op. 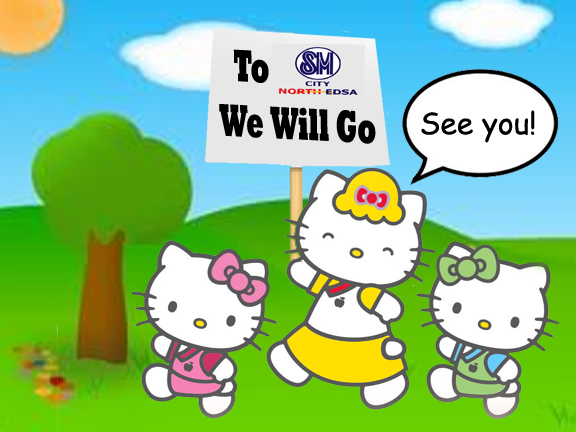 Kitty addicts, enjoy this weekend at SM North Edsa! Boohoo! I haven’t been able to locate my camera’s program CD. I’ve been looking for a few days now and I can’t find it in any of the logical hiding places around the room. It’s not in the closets, not underneath the bed, not in the camera bag, not in dresser, and not in the bedside table. I’m sure it’s just here somewhere; problem is, I can’t remember where I kept it or even where I saw it last. These senior moments have been happening more often now, as we move things around in an effort to hide things from Alphonse’s curious eyes and prying hands. Instead of having a fixed place for our things, we play “musical spaces” (our version of “musical chairs”) with them. Just last week, it took us three days to locate the ear thermometer. By the time we found it stashed underneath A’s old shirts (this was where one of the nannies hid it but forgot about it until three days later), we no longer needed it. 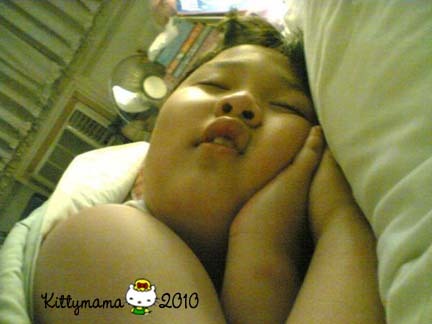 Alphonse’s fever was all gone. 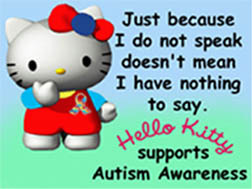 I guess what I’m trying to say is that unless I can get the picture utility program in this laptop, many of my personal pictures will have to wait for when the desktop computer comes home. Consequently, many of my stories will simply be retelling of things I have found while surfing the Net. Have I looked for an online download of my program? Well, duh, of course I have but I haven’t met with success yet. So, as I give this desperate search mission a final chance, I guess I’ll have to content myself with sharing the things I have found interesting on the Net. 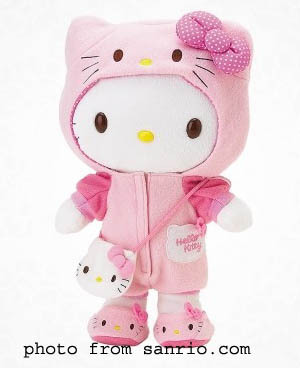 Today, as I surfed my Multiply account, I was drawn to a contact’s pre-order page for Hello Kitty plushes. I haven’t gotten any new dolls lately (the last one is the most recent 35th anniversary Hello Kitty Build-A-Bear) but I do enjoy looking at albums of new arrivals. This, however, was what caught my attention. 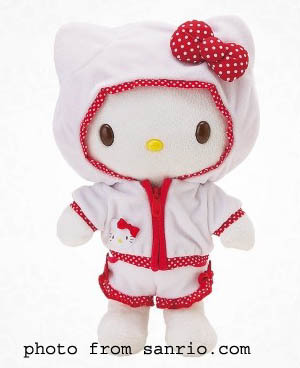 Did you know that you could own a Hello Kitty Dress Me Doll that comes in its own case? I didn’t even know that until today. I would have preferred it if my own Dress Me dolls (I have three of them) came in cases. This way, I would not worry about keeping them clean and dust-free. The Dress Me dolls tend to get dirtier than BAB dolls, I’ve noticed, so I don’t play with them as often. 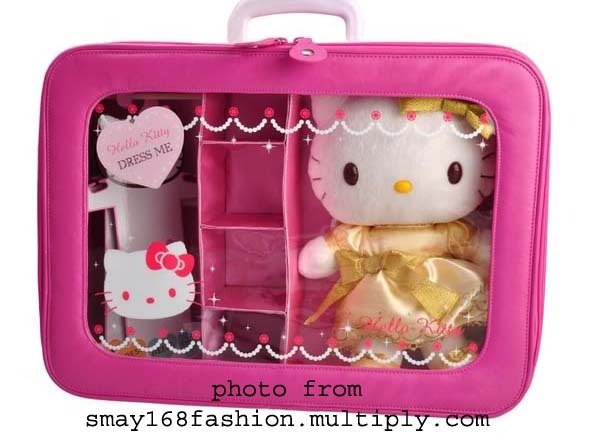 The case also works as a wonderful storage for the doll’s clothes and shoes, and having them all in one place helps keep things tidy. At PhP6899, however, this is a little too steep for me. The doll retails for only US$14; here in the country, most online sellers peg them from PhP1350 to around PhP1500. Add the value of the dress, say roughly another thousand bucks, and the value of the case, and I still don’t think PhP6899 is worth it. I do understand, however, that prices from where this doll and case come from may be highly inflated, thus, the corresponding increase in the cost for this item. Still, were I awash with dough at this moment (not the edible one, silly), I probably would not have second thoughts about this. If you’re interested and would love to own this, head on to Smay168Fashion Onine Boutique. 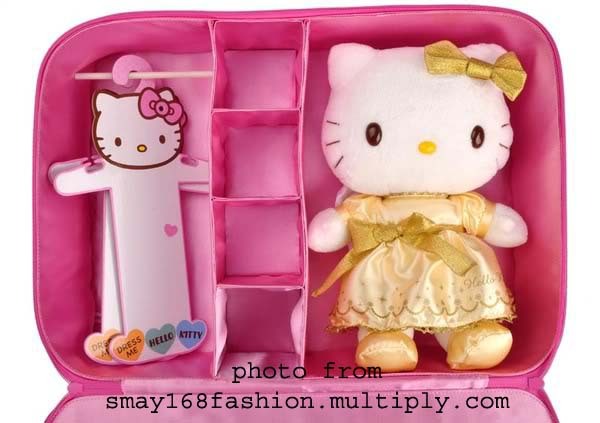 I love Hello Kitty Dress Me dolls and this seems like a perfect way to package it- doll and handy case in one so get one if you can afford it. In the meantime, I’m bringing out my dolls for a spell. Enjoy these Dress Me dolls, folks! I got my Gift Gate reward certificates last night, and I was so happy to receive a gift with it- this really lovely canvas Hello Kitty star long wallet. I love that Gift Gate rewards its loyal patrons with thoughtful gifts like these; it makes me feel less guilty about spending money on them, heehee. 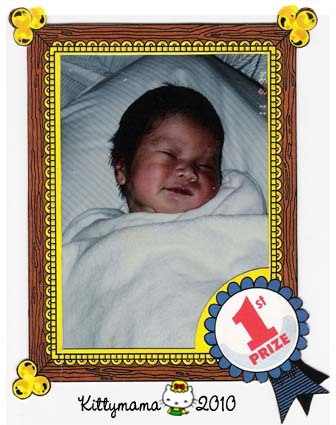 Gift certificates and a free gift- yahoo! 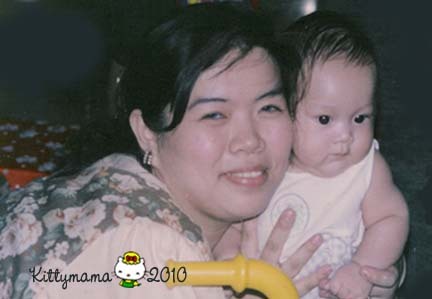 The wallet is perfect for mommies like me with lots of little things stowed in their bulging purses. I’m a sucker for Hello Kitty bags and wallets; I seem to change them on a daily basis, depending on my mood and outfits. My collection revolves mostly on these items. 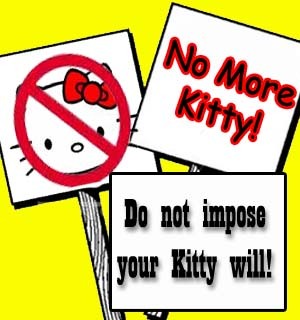 Even as we speak, I also have a Hello Kitty Loungefly Green Earth wallet from Torrid on the way. But how did my friends at Gift Gate know I love wallets (and purses and bags, ahem)? Now this has got me thinking of my next shopping trip to Gift Gate. I already spied some new items last night and I love the new bags they had on display. Then again, there are always so many items to choose from at any Gift Gate or Sanrio Surprises store that choosing just one becomes such an ordeal. Just ONE? 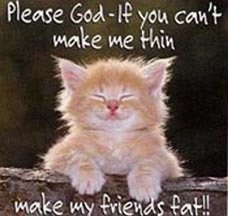 Impossible! So drop by your favorite Gift Gate Store and experience for yourself what brand loyalty really means! 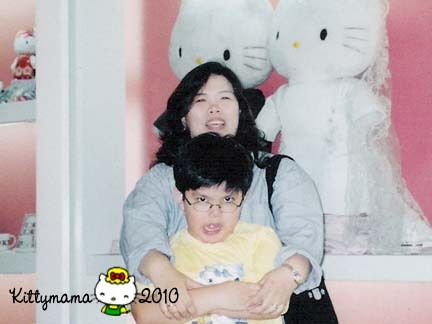 I personally prefer the Quezon Avenue branch for its proximity, but when it comes to service and friendliness, my new favorites are the Sanrio Surprises store at Megamall Building A, the Sanrio Store at SM North Edsa Annex, and Gift Gate Trinoma (in that order).